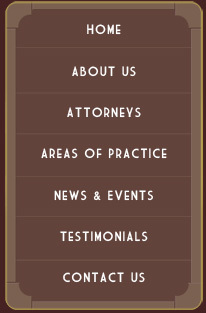 If you are charged with a felony or misdemeanor, you will need a criminal defense attorney with experience. The criminal justice system has a unique language and unique procedures and rules. Only a lawyer who is fully conversant with the criminal law and the criminal justice process, and one who has been successful defending other clients in similar cases can represent you effectively. The New York State sales and use tax laws are confusing and frequently misunderstood, but failure to comply with their complex rules can lead to unpleasant consequences including assessments, interest and penalties as well as criminal prosecutions. Moreover, the owners, principals and corporate officers may be held personally liable for the taxes, interest and penalties as well as alleged criminal conduct. People often procrastinate and avoid proper estate planning because no one likes to think about their own death or disability. However, obtaining professional assistance in advance can avoid many pitfalls and problems, puts you in charge of your finances and the disposition of your assets and can also avoid extra expense, delay and the emotional stress of managing your affairs after you die or become disabled. Although proceedings within the field of wills, trusts and estates including the administration of an individual's estate usually proceed smoothly, occasionally people wish to contest some aspect of an estate. Our office has represented and defended executors and administrators of estates against various claims and have also represented individual litigants against executors and administrators and the estates they were administering. PAROLE REVOCATION is an area of law that is widely misunderstood by most people. Most parole revocation proceedings, even contested ones that reach a final parole revocation hearing end successfully for the Division of Parole because of relaxed rules of evidence and a lighter burden of proof.